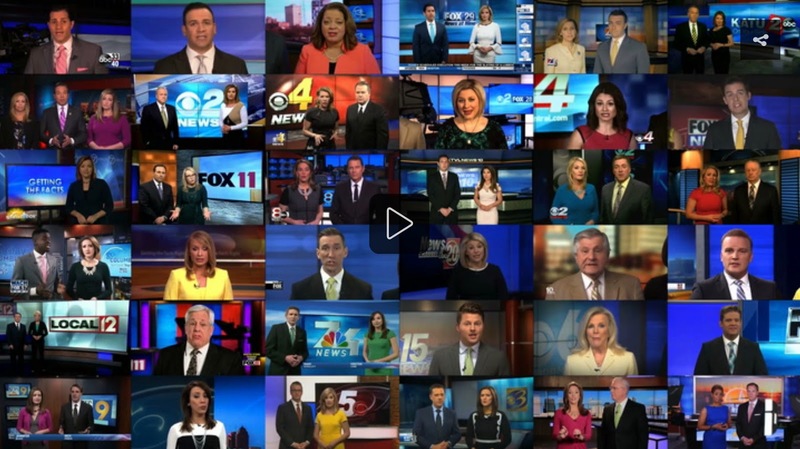 This video not only shows you the synchronized news stories, but it tells all about how Sinclair is growing, and what lies they've been telling, especially in their home city of Baltimore. It's pretty scandalous. 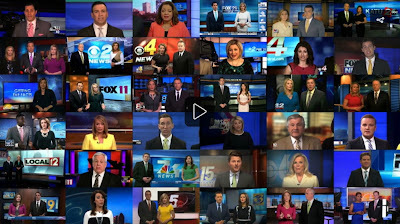 Although it's true that newspapers, TV news stations, news networks and the like are businesses that want to make a profit, it's rare that the people in charge so obviously care more about making money and pushing their own greedy agenda than they do about the integrity of their programming. The leftist magazine The Nation rightly points out that this is chilling - not because it's right-wing news - but because having ONE source (or few sources) for the news is bad for democracy. 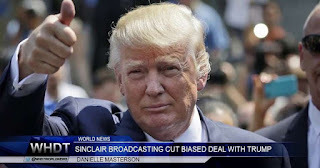 Their company website claims that they're "one of the largest and most diversified television broadcasting companies in the country." I don't think they understand what "diversified" really means. 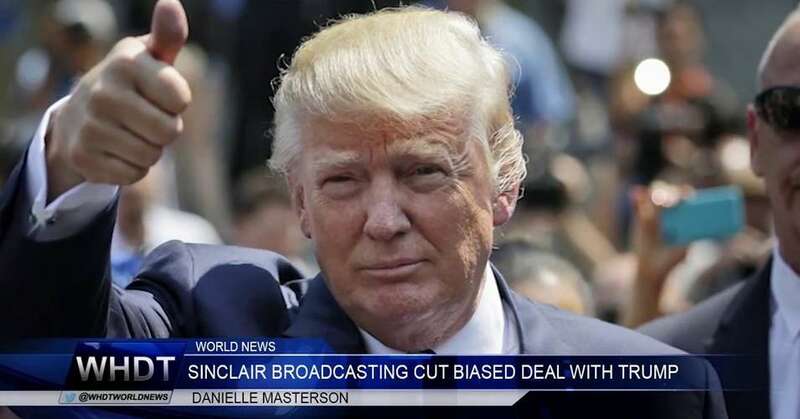 As legendary investigative journalist Bob Woodward says about reporters who cover President Trump, "it’s important to get your personal politics out. It's destructive to become too politicized." 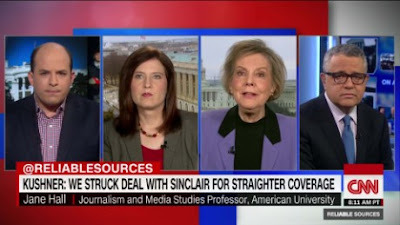 Someone needs to teach Sinclair about these basic press ethics.